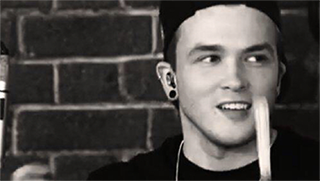 Josh Devine, is an English musician, singer, and songwriter best known for being the drummer for One Direction. Josh, who started drumming at age 3, released his debut EP, Through The Fire, as a solo artist in August 2015 alongside Ollie Green. Sign up for Josh’s Vekeo Channel where you can hear live telephone Q&A chats or access past events. Fans in the U.S. and the U.K can sign up to hear the latest news regarding his album, tour, or anything else you want to know about Josh Devine.